"So sorry to hear this my old friend. I can hear your laugh. Peace and Love to you and all your loved ones. " 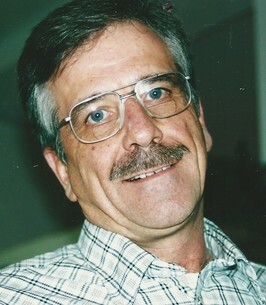 ALEXANDRA: Quiten Kim Wilson, 63 of Keleva, MI and former Alexandria resident died Friday, Oct. 5, 2018 at his residence after an extended illness. Kim was born in Elwood, IN on June 6, 1955 and was the son of John Quinten and Rosella (Weed) Wilson. Kim was a lifelong farmer in Alexandria area. He was active in Madison Co. 4H projects and was an avid fisherman. He is survived by his wife of 15 years, Karen S. (Rector) Wilson, daughters, Stephanie Wilson and Megan Wilson; a brother, Brad Wilson and a sister, Ginger Paugh. Also surviving is his long time and special fishing buddy, Jimmie Elsworth. A graveside service will be held on Thursday, Oct. 11, 2018 at 2:00 p.m. in the IOOF Cemetery, Alexandria where burial will follow. There will be no public visitation. The family requests memorials be made to the Hospice of Michigan, 989 Spaulding Ave. SE, Ada, MI 49301 of in care of funeral home. The Whetsel family is honored to celebrate the life of Kim Wilson with his family and community. 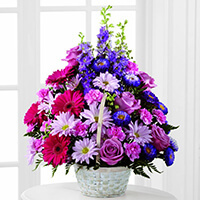 To send flowers to the family of Quinten Kim Wilson, please visit our Heartfelt Sympathies Store. We encourage you to share any memorable photos or stories about Quinten. All tributes placed on and purchased through this memorial website will remain on in perpetuity for future generations. So sorry to hear this my old friend. I can hear your laugh. Peace and Love to you and all your loved ones. To Kim's family: many years pass after high school that separate us from the memories of those days. However, it is impossible to forget that genuine smile that Kim always seemed to have on his face. May he rest in peace, and may God comfort his family. So sorry for your loss of Kim. I am related through my dad and we were just talking about Quentin, Ginger and Kim this summer. I remember Kim and Ginger from my childhood and school days. Always sad to hear of another family loss. Hugs to all.